The helmet for the stylish driver of a crosser or enduro from the past decades. Ideal in combination with our sunshield PEAK. Skin-friendly lining made of mixed cotton fabric. 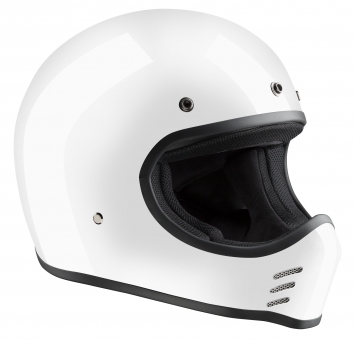 The helmet shell is made of glass fibre and is therefore fully paintable.